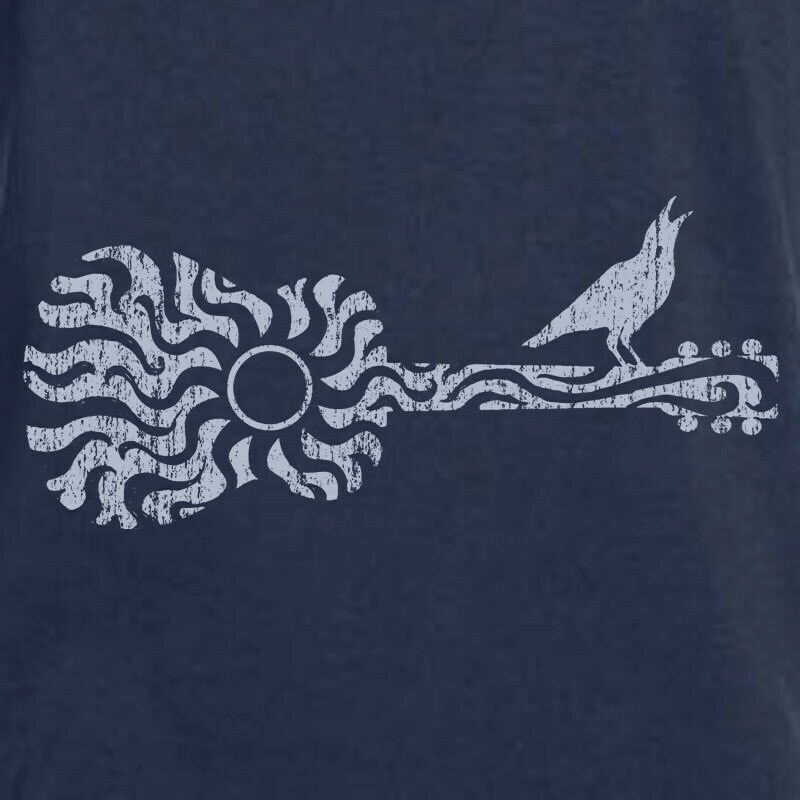 Sun Guitar with Crow is part of our Primal Line and is Hand Screen Printed on a soft 100% organic cotton, 5.5oz shirt in Pacific Blue. The fit is accurate and comfortable. 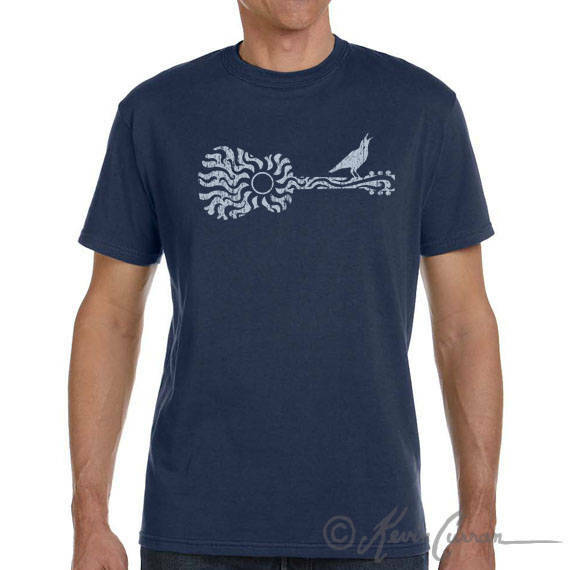 This shirt makes a great gift for him or her on any occasion, especially Valentine's Day, Mother's Day, Father's Day, Christmas, and birthdays. © 2016 CharlestonApparel.com. All Rights Reserved.